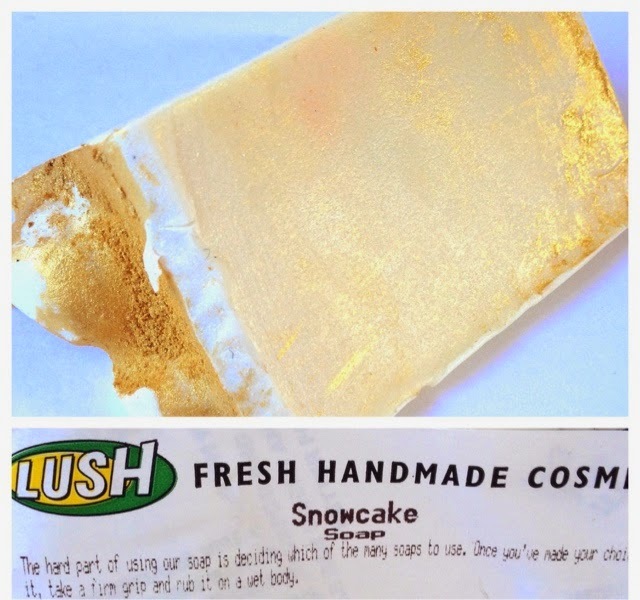 The Christmas collection from LUSH arrived in stores yesterday and I was excited to pick up some Snowcake soap, it has been a favourite of mine for many years and if you have been reading my blog since the beginning you will know how much I love it! The lovely staff in my local LUSH (Chester) showed me the whole Christmas collection, I am currently full of a cold so couldn't smell things in store with all of the delicious scents mixing into one but I was shown some of the bath bombs and bubble bars in action, and if you are a LUSH fan like me you will not be disappointed with this years offerings! Above is Holly Go Lightly, which is a super glittery bath melt which when in water goes the brightest most true Christmas tree green I have ever seen, absolutely amazing! The reason I went was to grab a slab of Snowcake but I ended up with 3 of their Christmas soaps and I have to say.....I may have a new favourite!!! I got: Snowcake RRP £3.40 per 100g, Reindeer Rock RRP £3.10 per 100g and Yog Nog RRP £3.40 per 100g. "This shimmering sweet marzipan-scented soap makes for a creamy and comforting Christmas treat. Made with a palm-free soap base, benzoin, soothing rose and uplifting cassie absolutes, this soap creates a rich and luxurious lather." 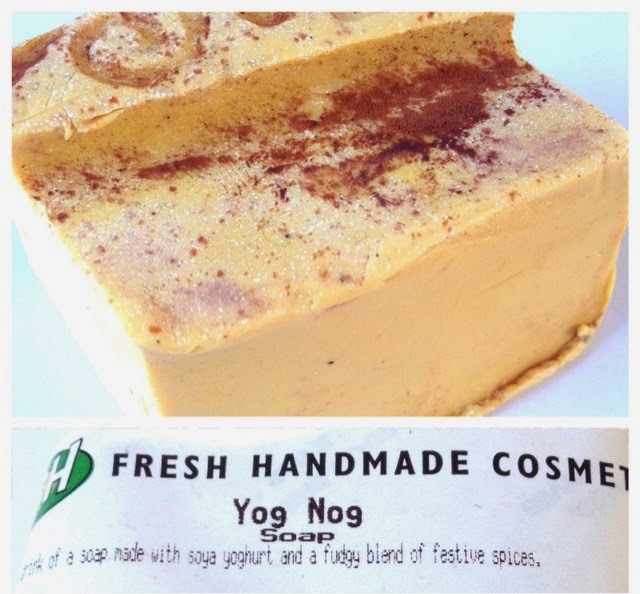 Yog Nog, I think, has knocked Snowcake of my top spot! It smells divine, good enough to eat and the texture almost feels like a bath melt, smooth and creamy. I have literally just used this in the shower and cannot stop smelling my skin! It's warming, spicy and the nutmeg scent really comes through, perfect for Winter! "A creamy Christmas tipple of a soap made with moisturising soya yoghurt and a dash of festive spice. Lather up and indulge your senses with this fudgy blend of clove bud and ylang ylang essential oils. Dusted with a generous amount of aromatic cocoa powder, you’ll be ready to don your best Christmas knitwear after using this spicy little number that's 100% palm-free." 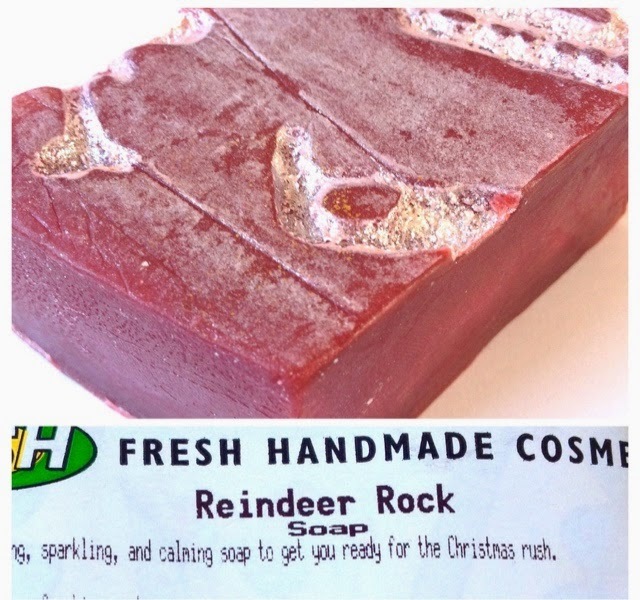 Reindeer Rock smells exactly the same as my favourite bubble bar, The Comforter, if you have smelt or used The Comforter before you will know exactly how delicious this smells, sweet and packed with berry scents. On the front of the soap is an aztec inspired design with carved reindeer's which are filled with LUSH's fine silver glitter which is extremely cute! "This sparkling, reindeer-embossed soap is a berrylicious treat made from a dried lingonberry infusion. The delicate mix of uplifting and cleansing bergamot oil fuses with calming and toning cypress to leave you feeling refreshed, comforted and ready for the Christmas rush." 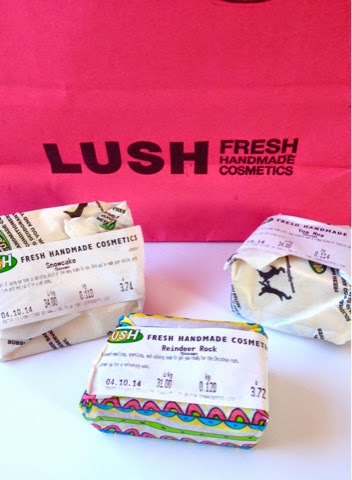 Have you seen any of the LUSH Christmas collection yet? It's fab isn't it! The Comforter in solide form...bliss! Oh me too, I'm sure I will have tried it all before Christmas! Yep, it's great isn't it! 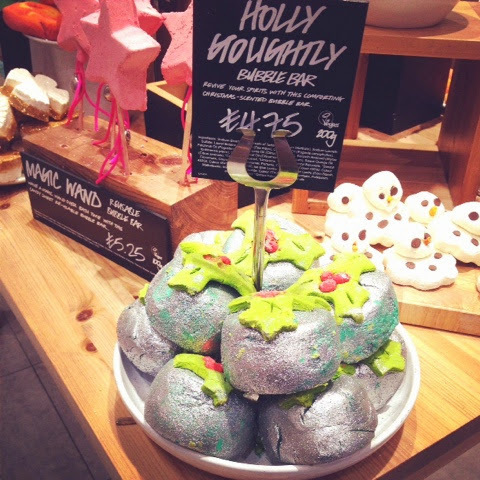 I adore the Christmas collection from LUSH. I really want to try Snowcake! It sounds lovely. 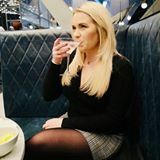 I know Rachel is looking forward to this rather a lot!